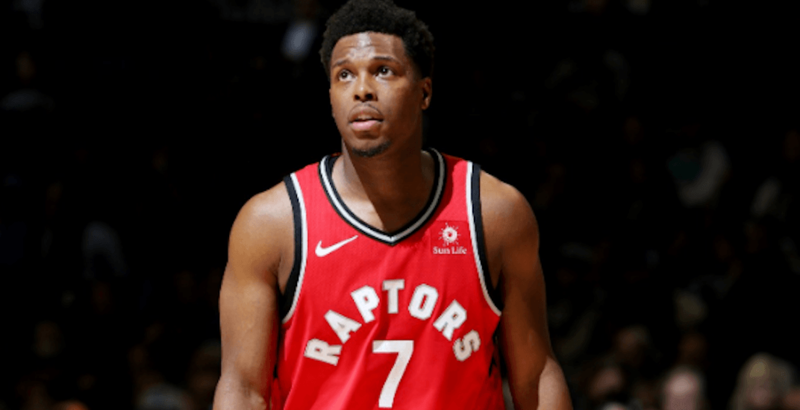 There has been a lot of discussion and hot takes swirling around social media since the Toronto Raptors lost Game 1 against the Orlando Magic, more specifically regarding the play of Kyle Lowry. It was not a pretty stat line for the All-Star point guard on Saturday. In just under 34 minutes on the court Lowry went 0-for-6 from the three point line and 0-for-7 overall from the field. He finished the night with 0 points, seven rebounds, eight assists, and two steals. Let’s get one thing out of the way first, despite the memes and tweets blaming him for the Raptors being down 1-0, Lowry was not the sole reason the team lost the opening game of the series. While he didn’t get on the scoreboard, Lowry lead the Raptors in assists and steals, along with the third-most rebounds behind Pascal Siakam and Serge Ibaka. Most importantly, he lead the team in plus/minus with a plus-11. In fact, he was the only starter that had a positive number in that category. In comparison, fellow guard Fred VanVleet picked up the slack in scoring with 14 points, but was a team low minus-16. Now, does this completely exonerate Lowry for how he played? No. Lowry’s scoring ability during the playoffs is still an area of concern. Not only does the Game 1 curse still linger around the Raptors, clearly it still has a firm grip on Lowry. The Raptors have made the playoffs the past six seasons. In the first game of the first round over those six seasons, Kyle Lowry has averaged 9.2 points per game on 26.5 percent shooting and 14.7 from 3. While he produced in other categories against the Magic, Lowry needs to be able to put points on the board, if not from the field, at least from the free throw line. Despite no longer being the number one or two option for scoring, he is still the heart and soul of this team. When he gets going and makes big shots, it makes a noticeable impact on the team and the crowd. Finding consistency in the playoffs is the key for Lowry. Now that there are other players like Kawhi Leonard, Siakam, Marc Gasol, Danny Green, and VanVleet who can all effectively score, there’s less need for him to put the team on his back compared to previous years. He just needs to be the player who has averaged 15 points per game throughout his playoff career. Lowry’s last 31 playoff games (since G2 of the Miami series in 2016): 18.6 pts, 6.5 ast, 46% FG, 38% 3P. It seems there are a lot of selective memories out there. He needs to be more aggressive than he was in G1, but the ‘Lowry fades in the playoffs” narrative is not accurate. The good news is that it’s more than likely than not he will bounce back. Entering Game 1, Lowry was shooting over 50% from the three point line over his past eight playoff games. Lowry has also shot 40% from the field in Game 2s. Members on both the Raptors and the Magic are expecting Lowry to make a strong return in Game 2, and rightfully so. Magic head coach Steve Clifford also praised the quality of Lowry’s play in Game 1 and expects him not to miss the same shots again going forward in the series. While his scoring is something to keep an eye on as the series progresses, it’s way too early in the playoffs for everyone to be pointing fingers. Throughout his tenure in Toronto, Lowry has shown time and time again that his resiliency is second to none and that he always finds a way to make the team better to help them win. Expecting nothing less when Game 2 tips off on Tuesday night (8 pm ET on TSN).